Free standing former Marsh Supermarkets building located at SR 267 (Quaker Blvd) and Stafford Road in Plainfield. The building is +/-49,984 Sq. Ft. on +/- 5.59 acres. 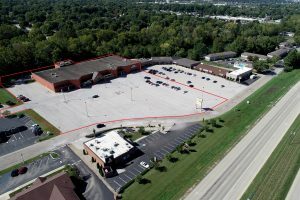 This location offers excellent visibility and access to SR 267 along with abundant parking. Square Feet: Approx. 49,984 Sq. Ft.